The Bodleian Libraries are home to about 4,000 fragments of documents which originate in the Cairo Genizah. 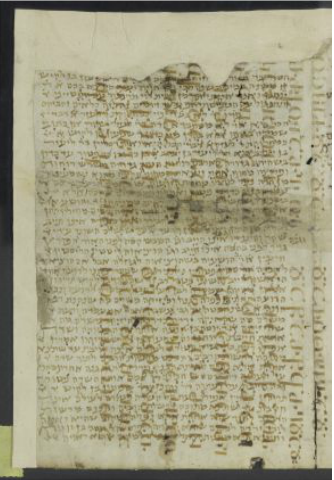 One of the most exciting manuscripts in the collection consists of twenty pages of Maimonides’s draft of his Mishneh Torah with corrections in 4 consecutive stages in his own hand. The collection features other important manuscripts, including Bible, Early Rabbinic literature (Midrash, Mishnah and Talmud), numerous liturgical fragments (Piyyutim and Selichot) and legal documents and letters, both personal and commercial. The newly digitized documents have been photographed in high resolution by Ardon Bar-Hama, with the support of George Blumenthal, for easy reading by the public.